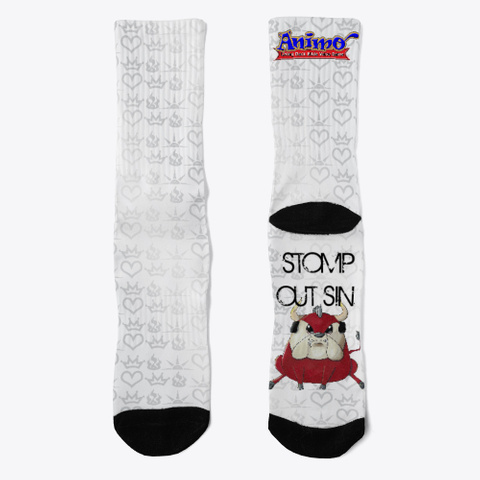 Keep evil underfoot with these stylish Animo crew socks! With "Potbully" (bullying) printed on the sole of the sock, you can literally crush sin with every step! Pattern includes the three power icons of faith, hope, and love.